As I’ve been sifting through the suggestions of these gurus, one of my persistent complaints is how vague they are. 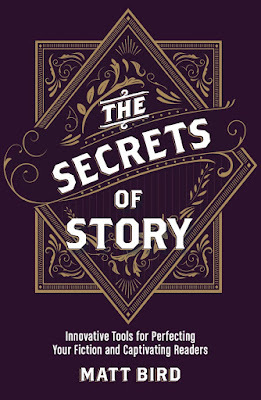 They’re selling their formulas as magic one-size-fits-all prescriptions for success, rather than lists of common trends in successful stories, so they feel the need to phrase everything as generically as possible, ensuring that every buyer will feel like they got their money’s worth. As a result, everything the guru says is true of every story. There’s just one problem: that provides no actual guidance. In the second half of each book, the gurus always go through a litany of their favorite movies and point out how each one conforms to every point of their process, but we don’t always see for ourselves the trends they’re trying to point out. Just the opposite: we see them twisting and warping the story to fit their pre-established thesis. One thing that really stands out to me is how un-helpful the phrase “inciting incident” is. I was once criticized online (in this epic two-part piece) for using the term imprecisely myself, and I concede that I was letting the term float in the entry they were mentioning, but I felt free to do so because it rarely means the same thing twice. The problem with the usual definition of “inciting incident” is that it’s a rule that nobody can break, because it’s just about impossible to create a story that doesn’t have something that could be called an inciting incident. The purpose of rules should be to separate good behavior from bad behavior, so that you can explain why some stories work and others don’t. 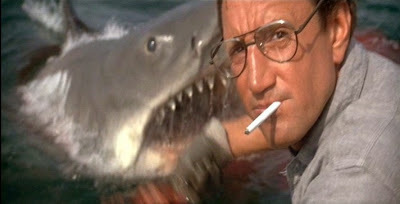 A classic example that is often used to demonstrate an “inciting incident” is the one from Jaws. Everybody in the town is happy, then a shark attacks. In the end, they kill the shark so that they can all be happy again. That’s very tidy, but most movies don’t work like Jaws. In most movies, heroes have a much more volatile and ironic relationship to the events that befall them. If you know about StoryFanatic, you know about Dramatica, so it's interesting that you never mention it. I've read a number of the screenplay books and found them helpful but also generally vague. When I try to line up my own stories with the theories the books propose, I notice that it never quite lines up...but I'm thinking that's probably a good thing, as the characters and story should steer the ship instead of the gurus. This has been a good series. Thanks! That sounds like a promising triad. Now you've got me eager for next week!